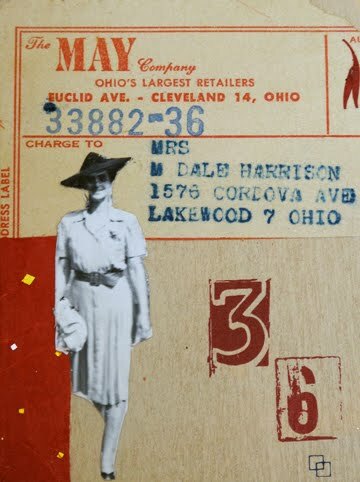 Meet Miss Dale...... featuring the vintage photo and ephemera background found in Leadville Colorado during a road trip over the Continental Divide. She can be yours for $30. Just e-mail me with the title of this piece. It has a resin finish and is on a 3x4 inch wooden gallery canvas.